I am always looking for ways to make practicing sight words FUN! These kindergarten worksheets are exactly that! 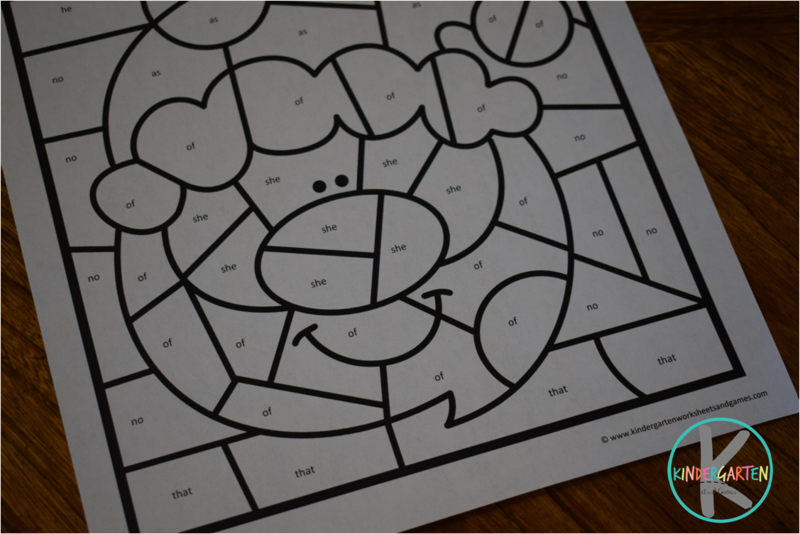 First, print these sight word worksheets in black and white. There is NO PREP! 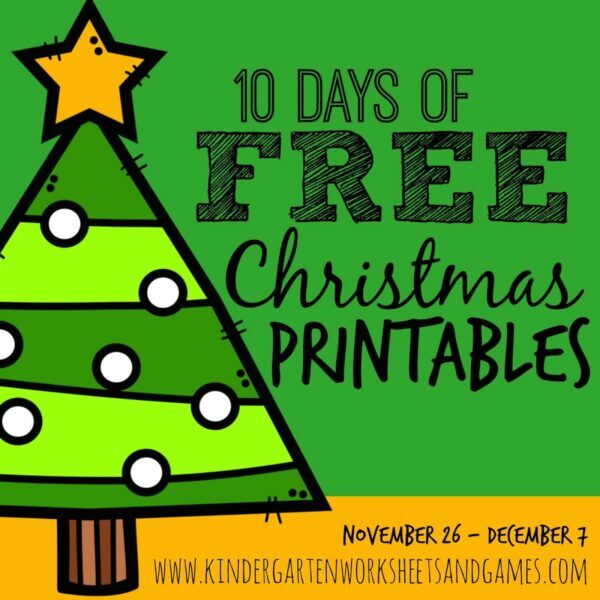 Just print and you are ready to practice kindergarten sight words. 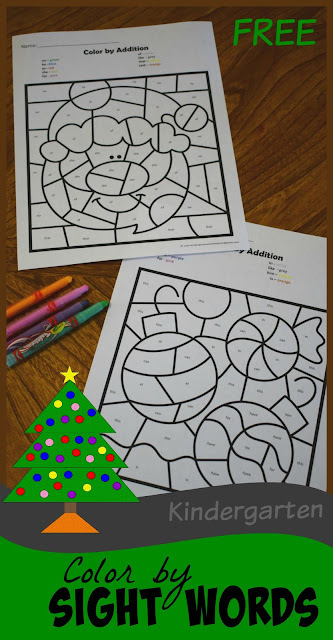 Give these Christmas Color by Sight Words worksheet (s) to your kindergartner along with crayons, markers, or colored pencils. 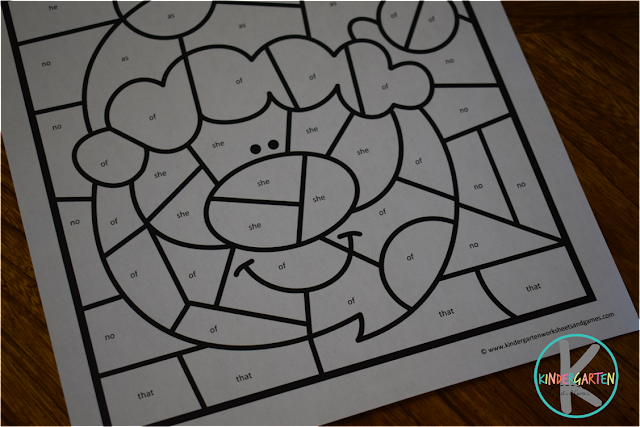 Students will color the sight word coloring sheets using the code at the top. The code will tell kids which sight words should be what color. By continually studying words they will become familiar with Kindergarten sight words. 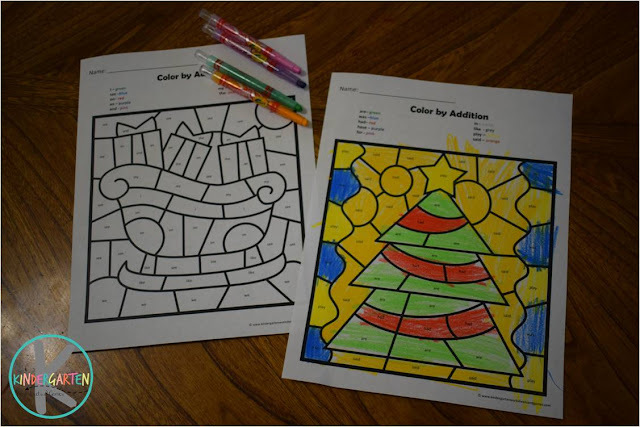 When they finish coloring the mystery worksheets they will reveal a fun Christmas pictures.